Microsoft‘s Windows Phone 7 launch is an incredibly exciting smartphone launch, maybe even more exciting than the iPhone 4, since this is a totally new platform from a major company. 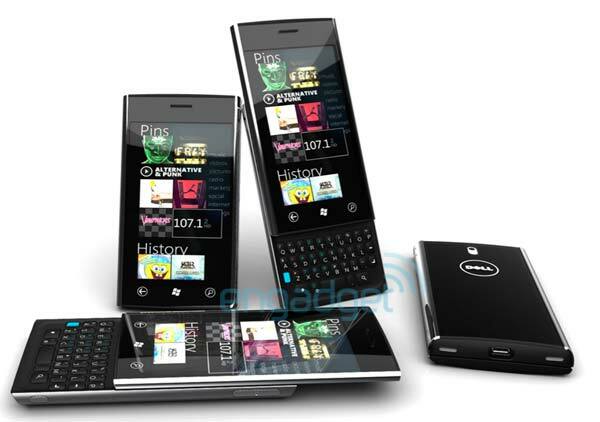 It’s also a huge bet for Microsoft, but they’ve been giving us more and more hints as to what Windows Phone 7 will eventually look like, and it is, for the most part, promising. Check out impressions of the new OS here. We didn’t get a full look at the new platform’s software capabilities, mostly because it mostly doesn’t yet exist. (Although the fact that Microsoft is paying app developers to bring great software to the phone at launch is a good sign.) But the hardware has mostly been a mystery–the Samsung phone given to journalists and developers earlier this week is not intended for market. Today, as reported by Pocket Lint, Microsoft announced its hardware partners, and it’s pretty much everyone you’d want. There’s Asus, LG, and Samsung, who had already been mostly confirmed. Asus and LG are unproven in the American smartphone market, but Samsung’s latest Android efforts, the Galaxy S series, look fantastic. Newly confirmed are HTC and Dell, for sure the two most exciting names we could have hoped for. HTC is behind almost all of the best Android phones (and all of the best Windows Mobile phones), including the Droid Incredible and Evo 4G. Dell is a newbie in smartphones, but its Streak sort-of-tablet was well-received, and its leaked Android concepts look absolutely amazing. The one name left out is Motorola, which has, for the moment, hitched its wagon to Android.